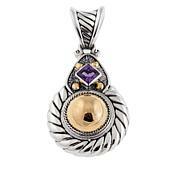 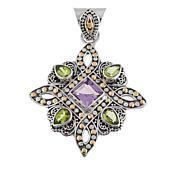 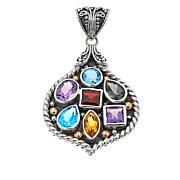 This pendant from Bali Designs by Robert Manse is a one-of-a-kind knockout. 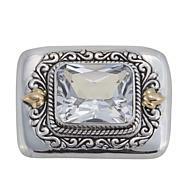 Robert's favorite cable design is transformed into this beautiful statement piece you don't want to miss out on! 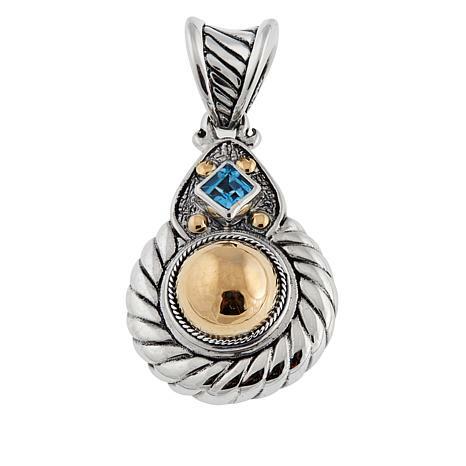 An 18K gold dome shines front and center, while single princess-cut accent stone gives the pendant the pop of color and bling it needs.